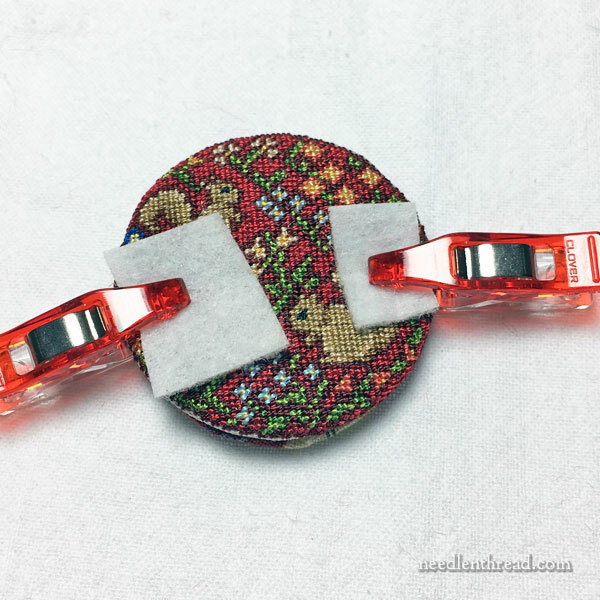 When I started to finish my needlepoint myself, on the old Sudbury boxes that had cardboard to put under the needlepoint, the instructions told us to use clothespins to hold the glued sandwich together until the glue set. I never liked that. I either couldn’t find clothespins, was too impatient, or didn’t like the dents. Used to use “binder clips” at work – “same thing, only different,” as the saying goes. One of the greatest inventions of all time in my opinion!